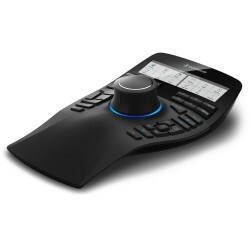 3Dconnexion manufactures a line of human interface devices for manipulating and navigating computer-generated 3D imagery. 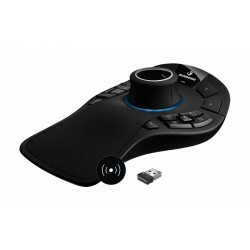 These devices are often referred to as 3D motion controllers, 3D navigation devices, 3D mouse. 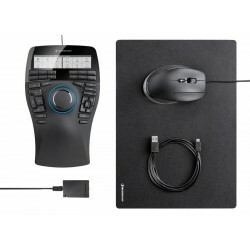 3Dconnexion products utilized in CAD applications, 3D modeling, animation, 3D visualization and product visualization, users can manipulate the controller's pressure-sensitive handle (historically referred to as either a cap, ball, mouse or knob) to fly through 3D environments or manipulate 3D models within an application. 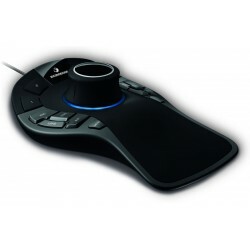 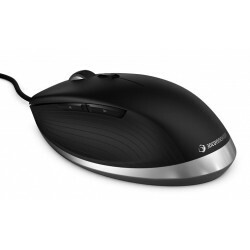 3Dconnexion CadMouse 3DX-700052 enhancing the way CAD professionals work, r..
3Dconnexion SpaceMouse Enterprise 3DX-700056 is most advanced 3D mouse..
3Dconnexion SpaceMouse Enterprise Kit 3DX-700058 when you pair a 3Dconnexio..
3Dconnexion SpaceMouse Pro offers full size, soft-coated hand rest ensures ..
3Dconnexion SpaceMouse Pro Wireless 3DX-700049 patented 6-degrees-of-freedo..